Jeff Warner | The Goose Is Out! Apologies for the weird layout on this page! We (aka Sue) shamelessly copied and pasted from Jeff Warner‘s website, which has introduced the dreaded tables onto the page. 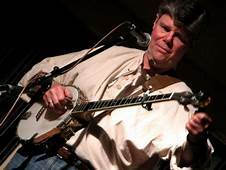 Jeff Warner is among America’s foremost performer/interpreters of traditional music. His songs from the lumber camps, fishing villages and mountain tops connect 21st century audiences with the everyday lives–and artistry–of 19th century Americans. “Providing more than just rich entertainment, Jeff will leave you with a deeper appreciation of the land you live in” (Caffé Lena, Saratoga, NY). His songs, rich in local history and a sense of place, bring us the latest news from the distant past. Click here to go to Jeff Warner’s website!